After Formula One pulled off the deal of the century to allow McLaren to swap its busted Honda engines for Renault ones, Toro Rosso’s standout driver Carlos Sainz Jr. will leave the team for Renault early, starting with the United States Grand Prix. So, naturally, Toro Rosso gets a Le Mans champ to fill in. Rad. 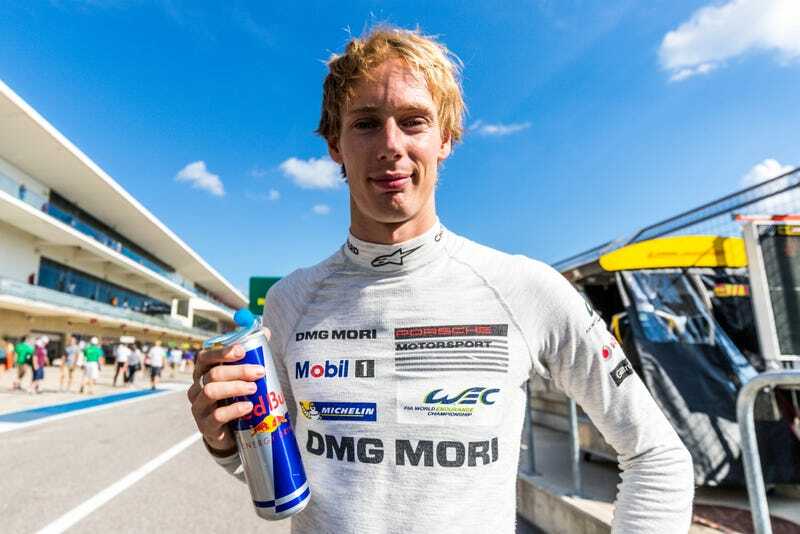 Porsche 919 World Endurance Championship driver Brendon Hartley will fill Sainz’s empty Toro Rosso seat at the Circuit of the Americas next week, Toro Rosso announced today. He’s one of Red Bull’s many sponsored drivers, so there’s an existing relationship here. Hartley had tested the STR4 F1 car for Red Bull’s de facto F1 B-Team Toro Rosso back in 2009. After being an F1 feeder series standout as well as a test and reserve driver for Red Bull, Toro Rosso and Mercedes in F1, Hartley landed in top-level endurance racing prototypes instead, racking up a WEC championship in 2015 and a Le Mans win this year, both with the Porsche 919 LMP1 team. Now we finally get to see how Hartley can perform in an F1 seat, which Hartley described as a “childhood dream” that’s finally coming true in Toro Rosso’s announcement. Hartley has been heavily rumored to be moving back into single-seaters with a 2018 IndyCar drive after the Porsche 919 team shuts down after this season, but has not confirmed anything yet. So, who knows? With those two series potentially in his future, maybe Hartley should be the next big driver to gun for the Triple Crown of Motorsport. He already won Le Mans, so now the Indianapolis 500 and Monaco Grand Prix are all that’s left for that. Toro Rosso previously tested 2016 GP2 Series champion Pierre Gasly out in Daniil Kvyat’s Toro Rosso seat in Malaysia and Japan, knowing that Sainz would be leaving for Renault next year, anyway. However, Gasly was unavailable for COTA as he’s already committed to racing in the Super Formula season finale in Japan. So, Kvyat will be returning to race at the United States Grand Prix alongside Hartley as well. Isn’t F1 the best game of musical chairs ever?